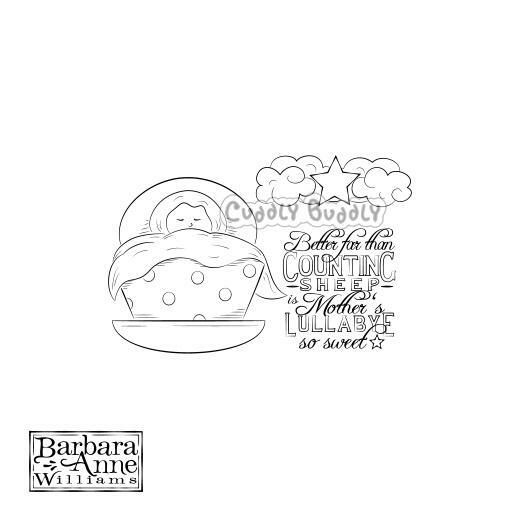 This set of three cute digi stamps features a baby cradle, star in the clouds, and original verse by Barbara Anne Williams. Just size them to suit your project needs, then print and colour with your choice of inks, pens, paints or crayons. High quality black and white .JPG digi stamps in an instant download zipped folder.